Video tutorials are the best way to help users how to do something. For instance a blog about doing something like blogging or a tutorial blog becomes best one when it has step by step text tutorials as well as video tutorials. Now a days tutorial blogs are trending so every blogger is trying his best to make his blog better than other by improving its user experience. User experience improves when users are satisfied and video tutorials are the best tutorials to help and satisfy users because users can see how to do something. 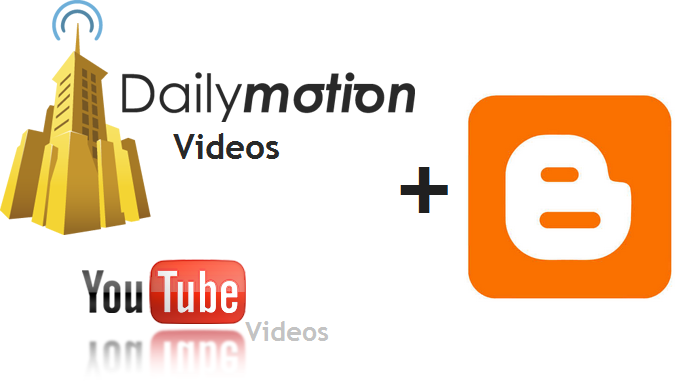 So if you have a blog and you have already setup a Youtube or Dailymotion channel and you want to embedded your videos in your blogger blog posts in order to get more views or to improve your visitors experience then you have reached to right place. In this post I will show you how to embedded videos in blogger posts. In the end of this post you can watch video tutorial also. Hope you like it. Step 1: Create a video and upload it. Step 2: Open your video and below it click on share, make sure to allow embedding while uploading your video. 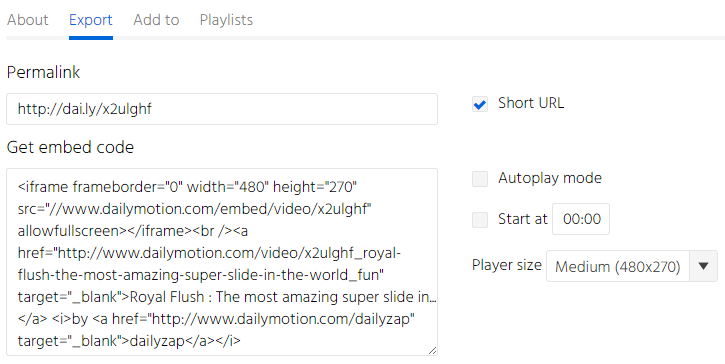 Step 3: Click on Embed and copy the code shown, The default code is for 560X315 size but if you want to change the size of the video and make other customizations then click on Show more. After size make other changes like show suggested videos, show player settings etc. Step 4: Copy the final code and go to blogger and edit post in which you want to add video. Step 5: Switch to Html compose box and paste the code where you want the video to show up. Step 6: Now click on publish and you are done. Step 1: Go to blogger and edit your post or create a new one. Step 2: Click on the video icon beside image adding tool. 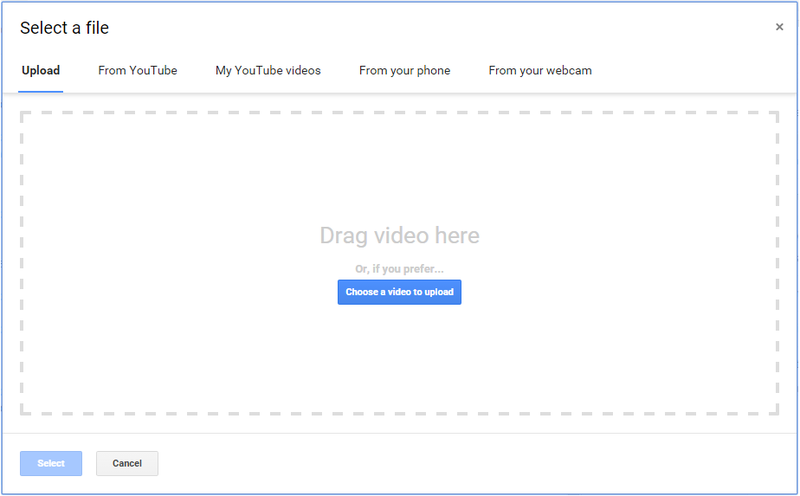 Step 3: Now if you want to add video from your computer then just click on "Choose a video to upload" select the video and wait for upload. 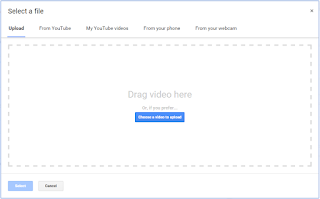 but if you want to add video from a youtube link then click on from youtube and paste the link of the video. Step 4: Click on "select" and you are done. Step 1: Open the video which you want to add in your blog post. Step 2: Click on "Export" below the video. Step 3: Customize your video. You can re-size your video and turn on "auto-play". A preview of your video player is shown below the code. Step 4: Copy the code of your video and go to your blog. Step 5: Edit or create a post and switch to Html compose box. Step 6: Paste the copied code and you are done. I hope you like this post and you found it helpful. Try more posts if you liked this post. Follow and subscribe for more blogging tutorials.